Middle School is a horrible place for some kids. The three years you spend in middle school are filled with changing bodies, social expectations and cliques. The pressure to *fit in* is overwhelming. Popularity becomes a goal, and some kids will go to any lengths to achieve it. 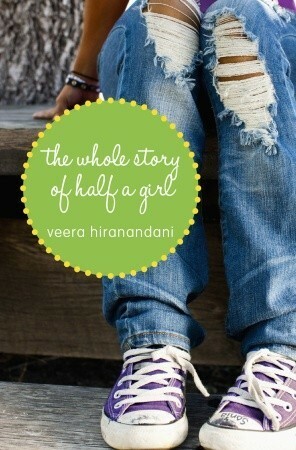 In her debut MG book, Veera Hiranandani skillfully captures the social dynamics of middle school. 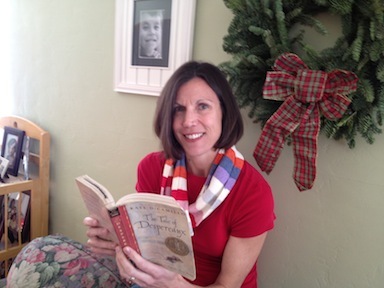 Reading her book transported me back to my own adolescence - some of it good and some of it bad. The Whole Story of Half a Girl tells the tale of Sonia Nadhamuni, a half Indian and half Jewish American girl, whose life is turned upside down when her father loses his job and Sonia and her little sister are forced to leave private school to attend the local public school. The two schools are worlds apart. At her old school everyone hung out together, but now Sonia must decide between hanging out with the popular crowd or with a group of kids who bus in from a different town. The Whole Story of Half a Girl is a great choice for MG readers (especially girls) who are struggling with navigating social pressures while trying to remain true to themselves. I have this on my Kindle, I should actually read it.